I think that I may have mentioned at some point in the past how much I enjoyed Sandra Gulland's Josephine books (The Many Lives and Secret Sorrows of Josephine B.; Tales of Passion, Tales of Woe; and The Last Great Dance on Earth); and so I was looking forward to going 100ish years earlier with the same author. 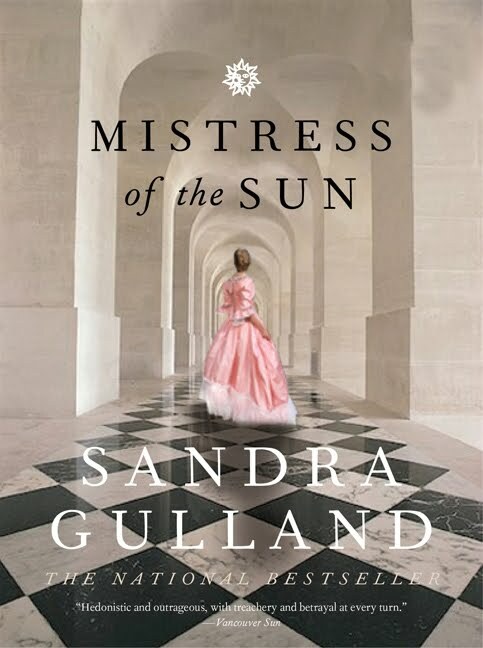 The title character is Louise de la Vallière (aka Petite); born to a family of minor nobility with no money for a dowery either for marriage or to enter a convent; and destined through a series of chances to become mistress of Louis IV, the Sun King. Unfortunately, while it was an enjoyable read, I didn't love it as much as the Josephine books. I quite enjoyed the beginning when Petite is a child, with the description of French country life in the 17th century. Unfortunately I found that it really lost momentum in the middle part when Petite reaches the court; and then there was a pile of action in the last 50 pages and then the book ended. I never had the feeling of being right there in the middle of the action, the way that I did with Josephine B. It was an easy read though, perfect for the summer when I don't want to have to devote too much energy to reading. And for when I was staying with my sister and her 3 children under the age of 5 and had very little energy left in the evening when I finally had a chance to open a book!